I love you quote: I love you completely and without a doubt. If you’ve been looking for a quote that you can share with your boyfriend, husband, girlfriend or wife – that let’s him or her know how you fully, completely love him or her – then you’ve got a great one right here! This quote is all about that true kind of love. Make sure you share this “I love you” quote with someone today, and make him or her smile! I love you with every fiber of my being. I want you to know that I love you and that I’ll do everything I can to get closer to your heart. You make me smile. A lot. And that’s why I love you. 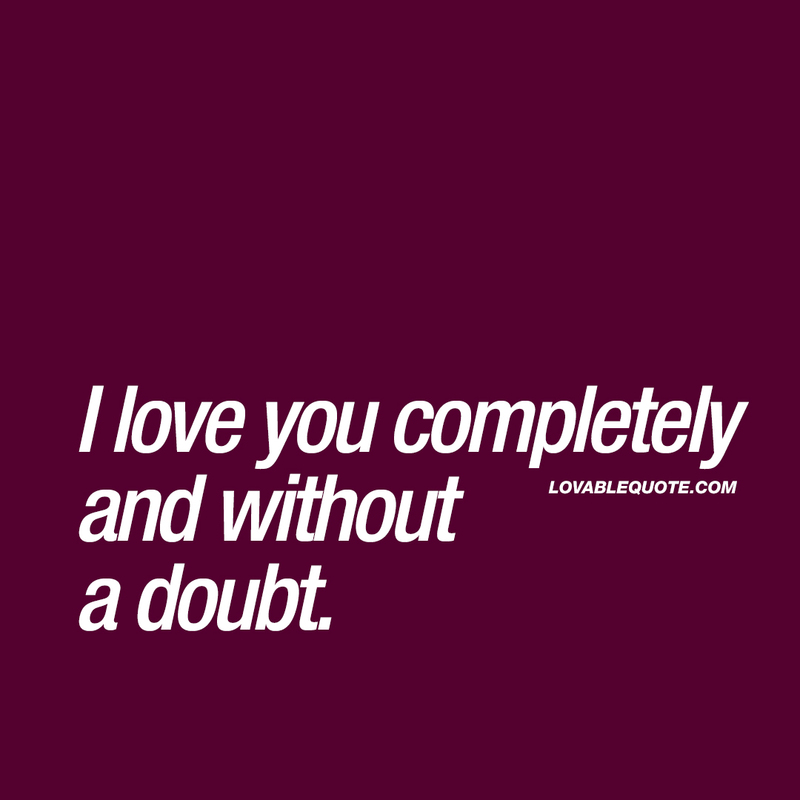 This “I love you completely and without a doubt” quote (text and image) is copyright © Lovable Quote 2018.